Finally, it’s time for baseball. I don’t know about where you live, but it’s still pretty cold where I live. But despite that, it’s great to know that the season is finally beginning! During the average major league baseball game, 50 foul balls are hit into the crowd. “The Star-Spangled Banner” was performed for the first time at a sporting event on September 5, 1918, in the middle of the 7th inning of Game 1 of the World Series between the Boston Red Sox and the Chicago Cubs. Are you a baseball fan? If so, let me know your favorite team. And while you’re at it, tell us about a fun baseball-related experience that you or a friend or family member has had. We had yet another wintry storm blow through the Northeast on Wednesday. This makes … well, I don’t know how many storms this makes, because I’ve lost count at this point. All I know is – enough is enough! As you probably know, during these snowy weather occasions NCP is nice enough to allow us to work from home. I certainly appreciate it! This storm dumped more than a foot of snow on Long Island. As I was helping dig out the driveway, I was thinking about what’s the record snowfall for New York and other states. I have nothing against Alaska, but I’m just glad I don’t live there! 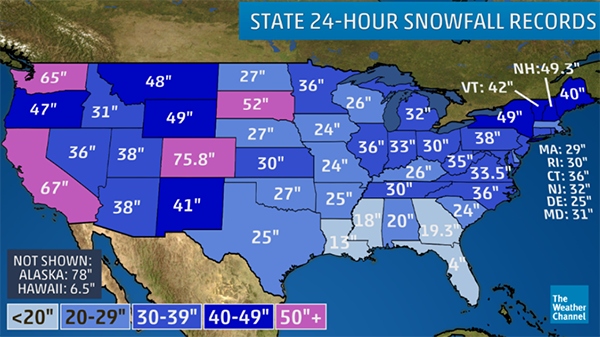 If you were in the path of the storm, how many inches of snow did you get? Have a great weekend, and let’s pray for warm, snow-free weather! Saturday is St. Patrick’s Day. My family and I will be spending time with some friends. We’ll have a few adult beverages, a lot of snacks, and watch the NCAA tournament. Will you be celebrating? If so, how? Let me know! According to the U.S. Census Bureau, 1 out of 10 – or 32.3 million – U.S. residents claimed Irish ancestry in 2016. Two states that have among the highest percentage of Irish ancestry are Massachusetts (21.2%) and New Hampshire (20.9%). 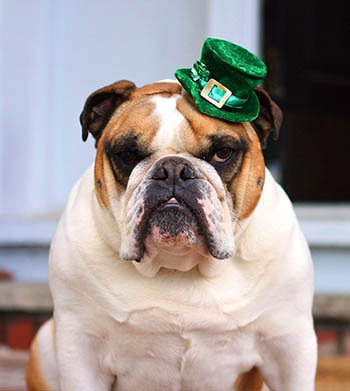 You certainly don’t have to be Irish to celebrate! 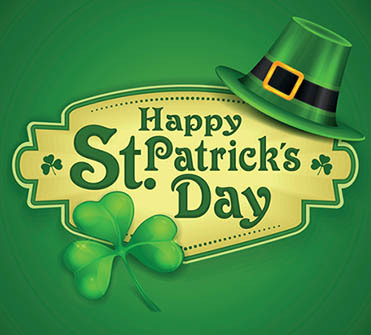 Americans plan to spend a record $5.9 billion to celebrate St. Patrick’s Day this year, up from last year’s $5.3 billion, according to the National Retail Federation. Over 149 million U.S. adults are expected to spend an average of $39.65 per person, up from last year’s $37.92. The holiday is most popular among individuals 18-24 years old, with 77 percent celebrating, but those 35-44 will be the biggest spenders at an average of $45.76. According to the National Retail Federation, of those spending money for the holiday, 50% will purchase food, 41% will buy beverages, 31% will purchase apparel or accessories, 26% will spend money on decorations, and 16% will buy candy. Enjoy the holiday, but please be safe. Have a great weekend! My husband and I just did our 2017 taxes, and it turns out we will be getting back some money from the Federal Government. As we’ve done in years past, we put some of that money into home improvements. This year, we’re going to do some work on the kitchen, replacing the flooring and installing new cabinets and countertops. At least that’s the plan right now! Do you have any home improvement plans? If so, let me know! Whether you use a tax refund or save up, many people see the benefit of putting money back into their homes. According to the Home Improvement Research institute, total home improvement products sales were expected to increase 4.9% in 2017 to $365 billion in total sales. In 2018, sales are expected to increase 4.8%, according to the Home Improvement Research institute. Note: Average return at resale rates vary by geographic location, and there may be other factors involved. Are you doing your own home improvements? If so, then make sure to use the specific store name – for example, Ace Hardware, Home Depot, Lowe’s, Menards, Orchard Supply Hardware, True Value, etc. – when recording your purchases. If you don’t have the exact store name in your scanner or the NCPMobile App, just use the Home Improvement Stores store type. Thanks, and let’s hope it’s a nice, warm weekend! This Sunday night the Academy Awards will be presented. Although I know many blog readers don’t like to watch, being a big movie fan, I always enjoy watching the show. Speaking of movies, I love going to a movie theater and really getting involved in the story. But who has the time and money to do that all the time? I know many people watch new movies on premium cable networks or streaming services like Netflix. In terms of actually going to the movies, I read that U.S. movie admissions slid 6% last year to 1.24 billion for the lowest number since 1995. This is according to the National Association of Theatre Owners (NATO). Last year’s box office sales declined 2.55% to $11.09 billion, according to NATO. Meanwhile, in 2017 the average ticket price jumped 3.7% from $8.65 to $8.97, with the fourth-quarter average soaring from $8.79 to $9.18. 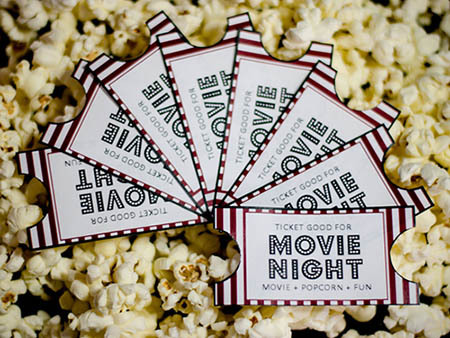 So, do you like to go to the movies, or do you prefer to watch them at home on either cable or a streaming service? Let me know!